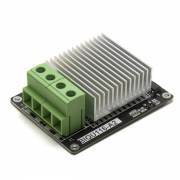 You can control the current of devices or accessories, such as a hot bed, or different heaters:Maxim.. 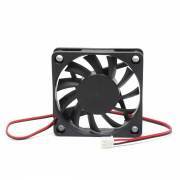 Fan Specifications 6010 Size: 60x60x10mm 11 Blades Connector: XH2.54-2P Nominal .. 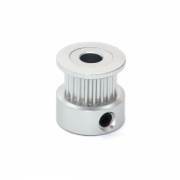 Pulley GT2: Made of Aluminium Nº teeth 16 Inner diameter 5mm Setscrews included .. Pulley GT2: Made of Aluminium Teeth number: 20 Inner diameter 5mm Setscrews included .. Pulley GT2: Made of Aluminium Teeth number: 36 Inner diameter 5mm Setscrews included ..
Belt GT2 for reprap, made of neoprene with reinforcerd fiberglass. 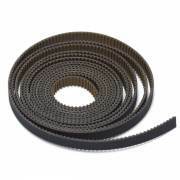 Dimensions: Width: 6mm Step: 2mm Belt heigh: 1.38 mm Teeth height: 0.75mm 1 meter Note: We ship the uncut belt. If you select two units you will receive two meters in one piece, so that you can ..
Belt GT2 for reprap, made of neoprene with reinforcerd fiberglass. Dimensions: Width: 6mm Step: 2mm Belt heigh: 1.38 mm Teeth height: 0.75mm Closed 200mm..
Belt GT2 for reprap, made of neoprene with reinforcerd fiberglass. Dimensions: Width: 6mm Step: 2mm Belt heigh: 1.38 mm Teeth height: 0.75mm Closed 400mm..
GT2 strap for reprap, made of neoprene with anti wear coating and reinforced with glass fiber inside.These belts are very high quality ideal to reduce wear.Dimensions: Width: 6mm Step: 2mm Belt heigh: 1.38 mm Teeth height: 0.75mm 1 meter Note: We ship the uncut belt..